Welcome to Strange Measure Media - where your dreams are crafted into reality. Let us put 4 decades of experience in studio engineering, production, songwriting, and mastering talent to bear on YOUR next project. Our facilities are guided by old world know-how and sure hands informed by decades of experience. Whether you need a full-on producer, a seasoned ear for mix down, or mastering to top shelf broadcast quality, invest your time and effort in a sure thing rather than spend as much or more on an amateur level recording. The music business is more competitive than ever - Strange Measure will give you the quality that assures you'll be picked up, rather than passed by. 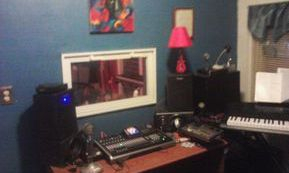 With affordable rates and a great creative environment Strange Measure is hands down your best choice for a demo studio.